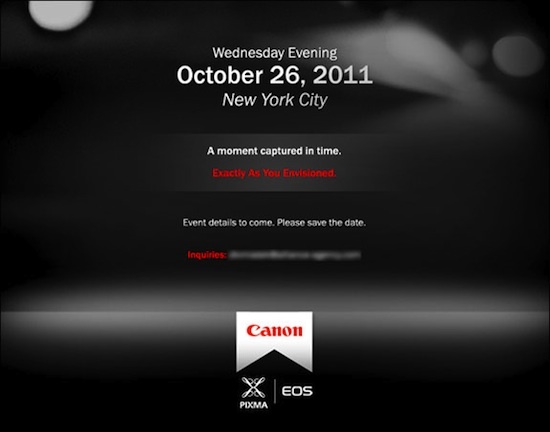 In addition to November 3rd, there is another Canon event scheduled for October 26th. This will probably be for a new Pixma printer since Canon, just like Nikon, is not expected to announce a new DSLR any time soon. The November 3rd announcement will probably be for two new video cameras: one with EF mount, the other with PL mount.